If carrying your stuff all over campus wears you out, BUSU’s got you covered. We’ve got lockers available for rental – store your coat in the winter, keep your gym gear safe, leave your books at school – whatever your small storage need, our lockers are a perfect fit. Our locker rental term goes straight through to April 30th, so you’ve even got your space during exams. The rental fee includes a $10 deposit for the combination lock provided by BUSU, which is refunded if you lock is returned by April 30th. Lockers must be cleared out by April 30th in keeping with the terms of the agreement. To view the full rental agreement, please click here. Simply visit the BUSU office during regular office hours (Monday-Friday from 9:00AM -4:30PM, holidays excluded). You can find our office on the 3rd floor of the Student-Alumni Centre, at the end of the Canadian Tire Bridge. Our Administrative Assistant at the reception desk will be happy to rent you a locker. We’ll print you a rental agreement to sign and make you a copy with your locker number and combination. And that’s it – it’s that easy! Check out our three locations: lower Thistle, lower Schmon Tower, Welch Hall (2nd & 3rd floors). 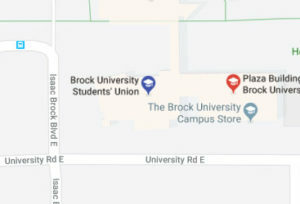 See which spot suits you best – if you go the Zone a lot, Welch Hall is for you; if you spend most of your time at the Learning Commons, then the Tower is your closest place; if you want a smaller locker at a low cost, then Thistle is the place for you. If you like, you can even bring a specific locker number, and if it’s available, we’ll rent you the exact one you want! We can’t guarantee that the locker you want will be available, so bring a few options so you’re not disappointed. You can now pay by the following methods: cash, cheque, debit or credit. Bring your student card for ID. Can I Share My Locker? If you give out your lock combination to another individual, you are responsible for the actions of that person as regards the locker. The student who rents the locker and signs the contract is responsible for the materials within the locker and any damage caused. BUSU is not responsible for lost or stolen items, as outlined in the contract. We strongly suggest that you do not give out your lock combination to any individual. Similarly, BUSU will not divulge the locker number or lock combination to any individual besides the student who signed the contract.